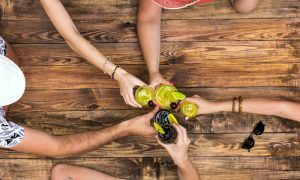 Are you giving non-drinkers the same priority that you give to drinkers at your bar? Unfortunately, most non-drinkers say that they are simply ignored when it comes to non-alcoholic drink choices and the overall bar experience. They are made to order the crap foundation soda on the menu while everyone else’s drinks come out looking like crazy concoctions that only a magician could dream up. 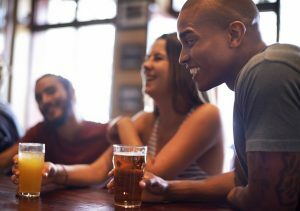 So what can you do to stop making non-drinkers feel like the bar experience just isn’t for them? Here a few easy ways to cater to non-drinkers at your bar so that they feel welcome too. Mocktails should be made with just as much attention, time, and care as your cocktails. Choose exotic fruit mixes and nicer options for glasses to delight your non-drinking bar patrons. Mix strawberries and mint with sugar syrup, soda, lime juice, and crushed ice. Serve it in a tumbler. Blend passion fruit nectar with grenadine, orange juice, and ice. Serve it in a cocktail glass like a frozen daiquiri. You can also allow your customers to customize the ingredients for their mocktail by allowing them to choose their own juices and garnishes. Regular fountain sodas are often loaded with sugar and aren’t a good option for customers who need sugarless options. They’re also boring and make your non-drinking customers look like the buzzkill of the party when they order a Diet Coke instead of a Rum and Coke. Instead, stock craft sodas made from natural ingredients, including ones that use alternative sweeteners like stevia and agave. This can help to attract more customers to your bar because craft sodas are generally difficult to find in stores and offer a unique taste. Make drinking non-alcoholic drinks just as much fun as drinking alcoholic drinks. By coming up with fun names for these beverages, your customers don’t have to feel like the spotlight is on them when they order a drink. That is because the name will disguise the fact that the drink doesn’t contain alcohol. Above all catering to non-drinkers is simply good business. 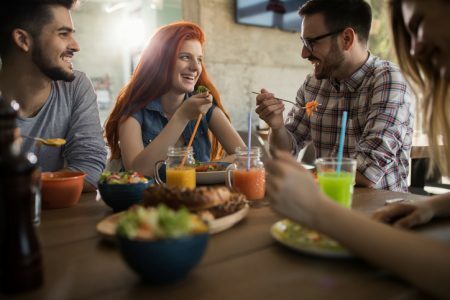 Just like restaurants will accommodate people with food allergies or special diets, you can easily upgrade your bar to accommodate non-drinkers. If you need another incentive, don’t forget that non-drinkers leave tips just like drinkers do. If you want better tips, now is the time to step up your game and stop making customers feel like less of a priority just because they don’t drink.